Kola Borehole is the deepest hole ever created by mankind. This scientific digging project of the former USSR is even deeper than the lowest point in the ocean. Finished in 1989 and located at 12,261 meters deep, Kola Borehole shows to the world some surprising things. There is a lot of water inside the hole. Who says you can’t get water from a rock? Hot mineralized water was found almost everywhere along the drill path. Actually there is no basalt under the continent’s granite, making the entire layer of Earth’s crust non-existent. Unexpectedly, helium, hydrogen, nitrogen, and even carbon dioxide (from microbes) were found all along the borehole. 6.700 metres below the surface, they have found fossils in granite. How is that even possible? 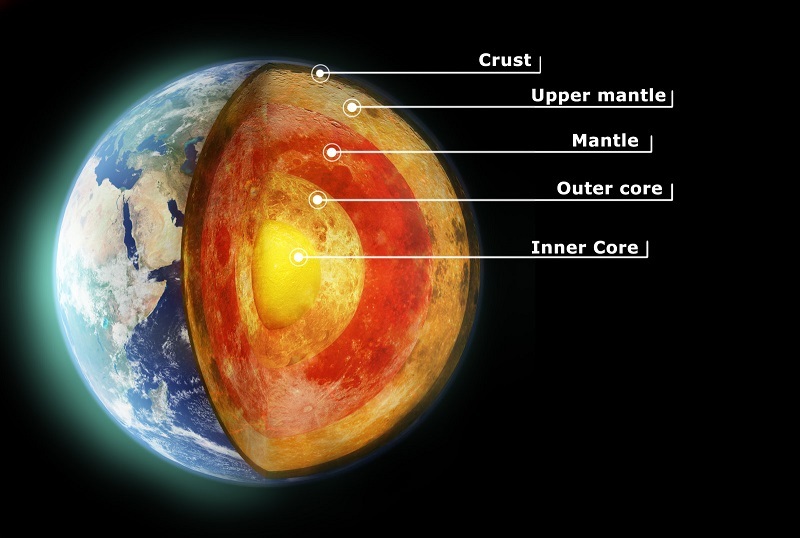 So what really is beneath the Earth’s crust? Water was found at a distance of 6.918 metres down the hole. No one expected water to exist at such great depths. This makes possible the existence of microscopic life. The detection of life in form of microscopic fossils was discovered in rocks and it is more than 2 bilion years old. Within these fossils were 25 different species of plankton. The digging process was stopped finally because of the high temperature (300 Celsius) and the high-density of the rocks. These discoveries made people believe that many legends from the past are true. The hole was associated with Noah’s flood because water was supposedly drained into subterranean sinkoles. Some people still believe this is the proof and the flood wasn’t just a tale. Another legend says that scientists were afraid to dig any further because they were scared not to drill through hell itself. Some of them even claimed to have heard some screams of damned souls. Is there an unfound world that is waiting to be discovered? Kola Bore Hole is 0,2% (0,1916%) of a distance to the center of the Earth not 0,002%. Nice blog! I like it.